While many articles regarding substance abuse focus on the issues and concerns of young people in the United States, the problem of substance abuse is actually a global issue. Addiction to either drugs or alcohol is a trend that is on the rise throughout the world, regardless of whether or not these individuals reside in developed/rich countries or underdeveloped/poor countries. These trends also exist in all countries without regard to illegality or legality of their manufacture and use. Where certain drugs are illegal, they are still able to exist through underground trade. Global trends in substance abuse illustrate that approximately 230 million individuals across the world have used some form of illegal drug at least once over the last five years. Of this number, over 30 million individuals have a form of substance abuse problem that impacts their daily lives. Over 15.3 million people have a substance abuse problem that can be considered an addiction. The most popular form of drug is marijuana, with up to 230 million users in the world. While some users are involved with marijuana because of health conditions and use a form of medical marijuana, many users are abusers and have a rate of use that adversely impacts their daily lives. Other forms of popular drugs are the stimulant drugs or amphetamines such as cocaine, methamphetamine (METH) and a variety of prescription drugs. The use of METH worldwide is a growing trend with up to 35 million estimated users. Drugs that are traditionally legal in a number of countries such as alcohol and tobacco still cause the most health issues. While the traditionally known illicit drugs have a morbidity rate of .8%, the morbidity rate for tobacco is 4.1% and for alcohol it is 4.0%. Rates of alcohol use are high at 82 percent worldwide. The common problems of prolonged alcohol abuse such as cirrhosis of the liver have a high cost to both the abuses and society as a whole. Over 2.5 million people die each year from alcohol abuse. Tobacco kills over 5 million people a year. Injecting drug users are reported for up to 148 countries and have added health issues, including higher rates of HIV infections. The illicit drug trade generates a lot of violence around the world. At least 200,000 deaths each year are somehow related to drug trafficking. These statistics are undoubtedly higher due to the fact that not all drug-trade murders are reported as such by various countries. In addition, there is a tendency for agencies and governments to under-report crime rates. Hundreds of thousands of individuals in the United States alone are imprisoned on drug-related charges, adding to the costs of substance abuse. Substance abuse is expected to continue to rise across the globe, with up to 65 million abusers by the year 2050. Developing countries are the hardest hit by substance abuse issues with a lack of treatment and prevention programs. Closer to the UK, treatment services like this alcohol/substance treatment service in Peterborough can help users find help. The costs on the world economy in terms of health impacts, mortality rates and legal issues are huge. Many of the poorer countries are doubly impacted by rates of substance abuse and all of the negative impacts for these affected populations. Substance abuse can impact individuals across all races, genders and classes. Many of those close to substance abusers often wonder if there were any early warning signs that they should have seen or known about in order to help prevent or stop substance dependence. While you can’t always stop or prevent such abuse, there are some signs that all of us should be aware of and look out for in our loved ones. All types of substance abuse such as drug and alcohol abuse have many of the same signs. Substance abuse can impact the body’s health, create changes in physical behaviors and lead to psychological changes in behavior. Knowing the early warning signs of such abuse, you can know when to seek help for friends and family members. Early invention for both drug and alcohol abuse are successful in stopping such abuse and preventing the lasting negative health impacts of long-term substance abuse. There are a number of physical signs of drug and alcohol abuse and changes to physical appearance that can indicate someone may be involved in substance abuse. While some of these signs can be indicators of physical illness or stress, these physical signs can also indicate the onset of a serious substance abuse problem. • Lack of attention to physical hygiene or appearance. In addition to changes in appearance, those involved in substance abuse often have physical changes in their behaviors. Substance abuse takes a toll on mental well-being and psychological health. People who are heavily into substance abuse change the way they engage and interact with others. • Lack of focus, no motivation. Noticing an isolated or single change in a person’s behavior and attitude is not a good indicator of substance abuse. Rather, persons who embody a combination of the physical, behavioral and psychological changes associated with substance abuse may indicate that they have or are developing a substance abuse problem. All of the collective issues, can be addressed at a private clinic for rehabilitation, such as AddictionRehabPeterborough.co.uk. These indicators can help you identify substance abuse in your friends and family and help them to seek early addiction treatments and interventions. Depending on the severity and depth of a person’s substance abuse and the financial resources and support systems available in a particular community, there are a variety of different types of substance abuse treatment options for those in need. Some types of treatment options are very intensive and involve residential stays and inpatient services, whereas other options are outpatient venues and involve support services and individualized or group therapies. People often seek treatment when they recognize that their substance abuse problems are negatively impacting their lives, are strongly urged to treatment after invention by family and friends or are forced into treatment after getting into legal trouble and offered the option of treatment as an alternative to jail time. Regardless of the reason for treatment, those who recognize that they do have a problem usually benefit more from treatment than those who deny that they have a substance abuse problem. As a result, most programs are designed to encourage individuals to face and admit to their substance abuse problem as the first step. Here is a look at some of the most common treatment programs. Inpatient treatment programs are intensive long-term or extended rehabilitation programs that are designed to help individuals find a new life away from substance abuse and develop the tools to resist falling back into drug and alcohol abuse due to life stressors. These programs usually involve removing the affected individual from their current life and having them stay at a facility away from their hometown and free from their family and friends and those they engaged with while under the influence of drugs and alcohol. While away, these individuals may under group or individual counseling, learn new coping skills and develop life patterns that don’t involve a reliance on drugs and alcohol. These programs can last anywhere from 30 to 90 days. Example clinics include Abbeycare – Scotland’s alcohol rehab clinic. This unit is a typical inpatient facility offering 21 beds and round the clock care. Individuals who leave residential and inpatient care programs often need a form of outpatient program to keep them on the right track. These programs involve a number of different options. Group programs are like Alcoholics Anonymous or Narcotics Anonymous that provide sessions on a daily, weekly or monthly basis that provide a supportive environment for people to share their stories and support one another. These programs are usually lead by a certified professional or follow a proscribed and proven program and are offered at little to no costs by nonprofit organizations, church groups and other volunteer organizations. Those who are trained as Certified Substance Abuse Counselors provide individualized therapy to help people deal with daily stressors and triggers to substance abuse, develop individualized behavior modification programs and establish future life goals that will prevent them for relapsing back into substance abuse. There are advantages to individual therapies that include the ability to address all emotional issues, closer examination of individual triggers to substance abuse and more personalized care. Treatment may also involve a number of related care services. There may be a need for medical interventions such as detox program to help individuals’ withdrawal from the drugs or alcohol without harm to their bodies. This situation occurs under a physician’s care. Additional programs can help individuals learn new skills such as anger management, job training or specific coping mechanisms. They may also engage in random drug testing to help monitor their behaviors. They may get involved in structured classes or activities to occupy their free time and hinder the possibilities of opportunities to engage in substance abuse. Programs can involve a religious or faith component to help those persons of faith cope and develop a new way of life. Substance abuse is not just a matter of a lack of willpower. There are in fact several reasons why someone begins to abuse drugs and alcohol. An examination of these reasons can go a long way towards explaining why some individuals are more likely to become addicted than others. In addition, an understanding of the causes of substance abuse can help us understand that substance abuse to a condition that can impact anyone at any stage of life and that it is an illness that needs appropriate treatment. Some people are more prone to substance abuse than others. These genetic factors include an increased or more powerful reaction (a bigger high) to drugs and alcohol, a need to take more drugs or alcohol to generate a response and a tendency towards repetitive behaviors. These “addictive personalities” are often quicker to engage in substance abuse behaviors and have a harder time staying clean and sober for long periods of time, even after attending rehab clinics. Genes can explain how one person can experiment and occasionally use drugs, while another individual becomes addicted and unable to control their drug use. Genetics traces of those prone to addiction can be found by examining family history and chemical responses. Many individuals who heavily abuse drugs or alcohol may be self-medicating for mental health issues such as anxiety, depression and bipolar disorder. These individuals tend to feel better when they use drugs or alcohol. They may have any number of these untreated conditions or illnesses that are reinforcing a tendency towards substance abuse. Often these individuals are aided by proper treatment of their underlying mental health issues and conditions. Closely related to mental illness, is the idea of using drugs and alcohol to relieve stress. Many people give the excuse of using drugs or drinking alcohol as a way to relieve daily stress and “blow off stream.” Substance abuse allows a temporary escape for all the stress and pressure that is associated with work, school, paying bills and taking care of a family. Trauma can also be a big trigger for substance abuse. Memories of painful trauma in our lives can be drowned out and hidden with drugs and alcohol. While under the influence of a substance, these individuals can push aside the thoughts of past trauma and avoid dealing with their hurt feelings. Substance abuse is a form of escapism for all negative feelings. Proper psychological therapy and treatment can often help individuals with any psychological condition deal with their issues without substance abuse. Young people often first begin to abuse drugs and alcohol when they are bored. They are seeking the thrill of engaging in something new and different. Using drugs and alcohol can be seen as a way to bring excitement to life. The euphoria or “high” from substance abuse can be a thrill that they repeatedly try to recreate. The young are more susceptible to this trigger, because they are often without the responsibilities of most adults. Imitation and trying to be like everyone else is a big motivator for substance abuse. We all want to fit in and be liked by others. If those around you are using drugs and alcohol, you are more likely to also use. Those who have family members, role models and idols who abuse drugs and alcohol are also more likely to abuse. Modeling after others is common as we try to fit in with our peers and engage in the same behaviors to develop a sense of unity and likeness with others. The role of peer pressure is high at any age and also a way for users to justify their behaviors. Pain pills are highly addictive. Those with prescription pain pills for conditions may easily turn into substance abusers, as they continue to use and need the pain pills long after their initial conditions have improved. The fact that the drug was doctor prescribed gives it some legitimacy and a way to rationalize continued use. In addition, individuals often turn to other drugs to get the same feelings as the pain pills they were prescribed. Environmental factors such as community and neighborhood, home life, family, peers, schools and workplaces can all influence or contribute to the development of substance abuse. Children who witness substance abuse within their homes and communities are more likely to engage themselves. Those who have less active parental supervision and less structured activities are also more likely to try drugs and alcohol at an early age. Failures at school and at work, poor social skills, inability to cope with anger and aggressive impulses and easy access to drugs and alcohol can also be contributing factors. Users who start early with substance abuse are more likely to develop addiction, because of the combination of the impacts to the developing brain of a young person. Poor environmental factors in the home, school and neighborhood all magnify the problems. The type of drug delivery used also is a factor with intravenous drugs and smoked drugs having an increased addictive factor than other types of methods. While no one can predict with absolute certainty whether or not someone will end up engaging in substance abuse, the list above provides some likely reasons for such conditions. In some areas, charity drug rehab centres are available to start to address the issues of the addiction. Risk factors can be a key to understanding how to design and implement effective intervention programs. Given the lasting impacts of prolonged substance abuse, such information is of benefit to parents, teachers, counselors and drug and alcohol abuse specialists. There are two main effects of prolonged substance abuse that impacts most users: declines in health and lifestyles. The greatest health risk for long-term substance abusers is death. However, there are a number of escalating health conditions and issues that can plague users of both drugs and alcohol. Alcohol abuse leads to liver disease, kidney problems and other health conditions. Depending on the drug that is being abused, users can end up having hepatitis, HIV/AIDS, cancer, stroke, heart attacks, seizures and coma from their abuse. These issues can all be magnified from improper care and treatment, late diagnosis of disease and the inability to pay for care due to lack of finances and lack of adequate health insurance. Additional health issues resulting from long-term drug use on the body include loss of teeth, skin problems, brain damage, low blood pressure, headaches and a host of psychological issues such as paranoia, anxiety, depression and erratic mood swings. The psychological problems associated with long-term substance abuse harm the emotional health of abusers much like their physical health. Chronic depression results from needing more amounts of the substance of choice to achieve the feelings of euphoria that were initially achieved through abuse. These individuals may become increasingly paranoid, especially if they have to engage in illegal or dangerous activities to obtain such substances. Withdrawals and fears of not obtaining enough drugs or alcohol may make some individuals feel anxious about how they will get their next fix or find the privacy and time to abuse. Abbeycare Scotland have developed an online calculator tool that feeds back potential negatives involved in you intake level, based on units consumed and gender. Try the Alcohol Demotivator here. The greatest toil for substance abusers can take place within their quality of life. Prolonged substance abuse can have a profound impact on the lifestyles of affected individuals. Abusers often lose their close friends and family. Addicts break trust with those who love them by stealing money or engaging in manipulative behaviors that cause emotional harm. Family and friends get tired of watching the users in their lives repeatedly choose drugs over them. As users’ behaviors become more unpredictable and erratic, loved ones are pushed away. Often times these relationships end up beyond repair. As a result, substance abusers are often left without any friends or family support. Many engage in domestic abuse or child abuse, which can cause them to lose custody of children and lead to measures that prevent them from engaging with family members. Work and school lives suffer for abusers. As they become more involved and addicted to their substances of choice, they fail to care about the things that used to matter to them. Students miss classes, get in trouble with teachers, stop studying for exams and completing assignments, get suspended and maybe even expelled and eventually drop out. Working adults face a similar fate of chronic lateness, absenteeism, disciplinary action and termination. Serious substance abuse can easily led to homelessness with loss of family life and loss of income, as individuals become more and more isolated and on their own. They may get kicked out of their family homes or face eviction due to loss of income. 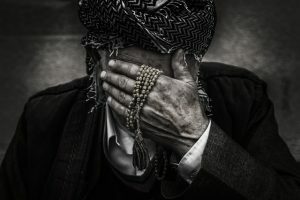 Living on the streets or with random strangers or fellow users are situations that are unsafe and prone to situations in which such users could be victimized and prayed upon. Many long-term substance abusers get caught up in legal problems. Some are in the legal system due to the use of illegal substances, but some are there due to traffic accidents, theft, assault and violence associated with the purchase of illegal drugs. Repeat offenses can lead to incarceration and sometimes life-long sentences.